If you’ve been following the desktop 3D printing market for the last couple years, you’re probably aware of the major players right now. Chinese companies like Creality are dominating the entry level market with machines that are priced low enough to border on impulse buys, Prusa Research is iterating on their i3 design and bringing many exciting new features to the mid-range price point, and Ultimaker remains a solid choice for a high-end workhorse if you’ve got the cash. But one name that is conspicuously absent from a “Who’s Who” of 3D printing manufacturers is MakerBot; despite effectively creating the desktop 3D printing market, today they’ve largely slipped into obscurity. So when a banner popped up on Thingiverse (MakerBot’s 3D print repository) advertising the imminent announcement of a new printer, there was a general feeling of surprise in the community. It had been assumed for some time that MakerBot was being maintained as a zombie company after being bought by industrial 3D printer manufacturer Stratasys in 2013; essentially using the name as a cheap way to maintain a foothold in the consumer 3D printer market. The idea that they would actually release a new consumer 3D printer in a market that’s already saturated with well-known, agile companies seemed difficult to believe. But now that MakerBot has officially taken the wraps off a printer model they call Method, it all makes sense. Put simply, this isn’t a printer for us. With Method, MakerBot has officially stepped away from the maker community from which it got its name. 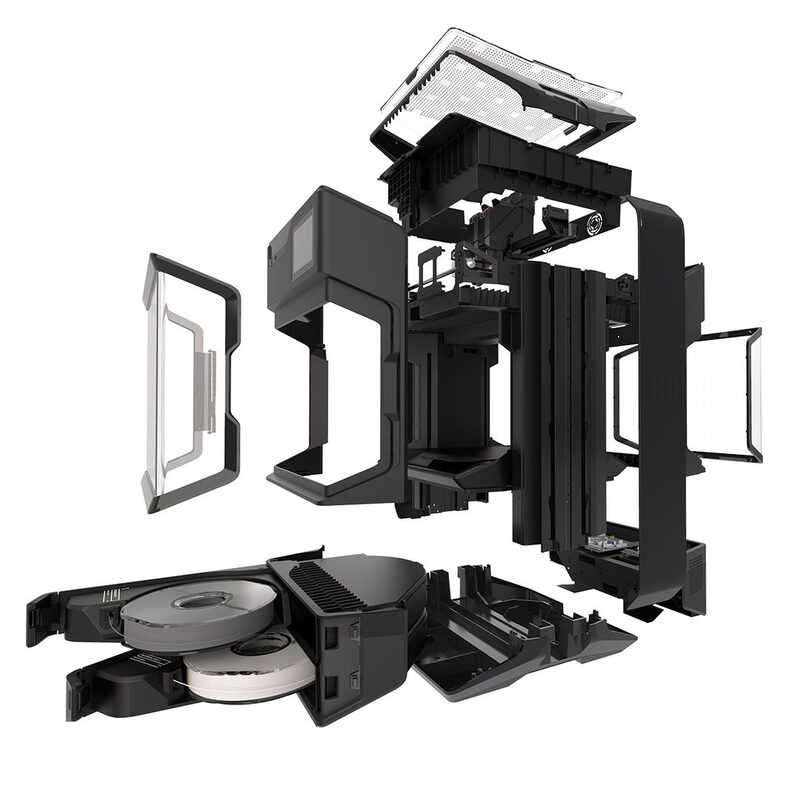 While it could be argued that their later model Replicator printers were already edging out of the consumer market based on price alone, the Method makes the transition clear not only from its eye watering $6,500 USD price tag, but with its feature set and design. That said, it’s still an interesting piece of equipment worth taking a closer look at. It borrows concepts from a number of other companies and printers while introducing a few legitimately compelling features of its own. While the Method might not be on any Hackaday reader’s holiday wish list, we can’t help but be intrigued about the machine’s future. Method relies heavily on concepts and technology inherited from parent company Stratasys, and bears little resemblance to previous MakerBots or even contemporary desktop 3D printers. It represents the merging of the desktop and industrial 3D printing markets which many assumed would follow MakerBot’s acquisition, it just took a lot longer to materialize than anyone expected. As with previous MakerBot printers, the Method sticks with the dual extruder design that other manufacturers have largely abandoned in favor of a single extruder with material switching capability. Dual extruders are notoriously tricky to calibrate and maintain, but it’s a much faster approach to multi-material printing thanks to the fact that the nozzle doesn’t have to purge itself every time the material changes. As MakerBot is advertising the Method as “The First Performance 3D Printer”, the speed advantage of sticking with dual extruders is clearly worth dealing with some additional engineering challenges for them. Other interesting features include a heated build chamber which uses convection to maintain a consistent temperature throughout the internal volume. We’re used to seeing heated beds on desktop 3D printers which do an acceptable job of keeping the lower layers warm to prevent warping, but they do no good past a few tens of millimeters. With a heated enclosure however, the entire print is maintained at the same temperature for more consistent results. This is something individuals often attempt to DIY for their own desktop 3D printers, and is a perfect example of MakerBot taking something which is usually seen only in high end industrial machines and bringing it a bit closer to the mainstream. Method also features internal filament storage bays which MakerBot claims are almost completely sealed from the outside environment. Internal sensors even monitor the humidity in the filament to verify optimal performance. Again, this is a feature we’re no stranger to seeing hacked onto existing 3D printers. Like the convection heated chamber, this is technology which has been unavailable on traditional desktop 3D printers; though we did see at least a prototype of a new machine which was promising to bring this feature to the masses at this year’s East Coast RepRap Festival. While Method undoubtedly offers some features which to date have been nearly unheard of in desktop 3D printers, MakerBot has also clearly kept a close eye on the competition over the last couple of years. The Method has a number of features which we’ve already seen on consumer-level printers, which some might say call into question the machine’s sky-high price. The color touch screen mounted in the top of Method reminds us of PrintrBot’s attempt to make 3D printing more user friendly with a similar interface on their Simple Pro. Unfortunately the community didn’t embrace the paradigm shift which the Simple Pro represented, ultimately leading to PrintrBot closing their doors a few months ago. Be that as it may, it does seem inevitable that 3D printers will get the same touch user interface that everything else seems to have adopted in the 21st century, so we doubt MakerBot will be alone in trying to introduce this on their printers going forward. Method also features a few enhancements with which owners of the Prusa i3 MK3 will already be well acquainted. A removable magnetic build plate, automatic filament loading, and encoder-based jam detection are all features touted by Method which are also available on Josef Prusa’s latest printer (at about 1/6th the price). 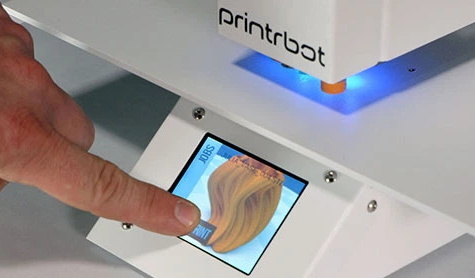 You could even argue that Method’s onboard camera, remote WiFi control, and extensive use of sensors to monitor the current print were inspired by OctoPrint and its vast array of community developed plugins. The OctoPrint community has been pushing the envelope in terms of 3D printer control and monitoring, and has already gotten the attention of a number of other 3D printer manufacturers. Adding MakerBot to the list of companies impressed by what the open source community has managed to do with their 3D printers seems a safe bet. This time last year there was a glimmer of hope that MakerBot was attempting to make a return to their roots with the announcement of “MakerBot Labs”, and prior to the unveiling of Method some even theorized that the new MakerBot might take the form of a rebranded Chinese printer; allowing them to offer their support and educational curriculum on a vastly cheaper printer. Now that Method is revealed we can see that nothing is farther from the truth. With this new machine, MakerBot is doubling down on the industrial and manufacturing markets in which their Replicator printers still had some sway, and omitting the consumer market entirely. In doing so, MakerBot has truly come full circle. When they released their first 3D printers in 2009, it was precisely because nobody was selling that kind of hardware outside of the industrial setting. They set the stage for the desktop 3D printing revolution, and for years other manufacturers were rushing to play catch up with MakerBot’s latest by releasing their own cheaper clones. With the unveiling of Method, MakerBot has shown that not only are they the ones desperate to copy the trend-setting features of their competitors this time around, but that their priority is selling this new machine to the very market they sought to rebel against a decade ago. With that in mind, you’d be hard pressed to find a less expensive industrial 3D printer. Makerbot definitely priced outside the consumer level, but if your alternative is a $20,000 industrial printer, this might seem like a great deal. Problem, much like cellphones is the bottom fills up fast and there’s little money in it. The only way to go is the opposite direction. They were already too expensive to start with, this is just going farther in wrong direction. A printer capitalizing on their manufacturing experience and end-user support at the sub-$1K price point could have been an actual change of pace. Machines like the Prusa are great, but they’re for hackers. Schools and small businesses want something they can count on without having to mess with them all the time. FWIW I’ve had a MK3 Prusa for a year and it is about as hands-off as the Ultimaker 3 I use at work. The fact that it’s sold as a kit means it’s easy to “mess with them,” but you don’t have to: I bought mine assembled and it just works. The MK3 is a great machine, but you can’t overstate the value to a school/business to have a product backed by a “big” company, especially a domestic one. If you’re a school in the US and looking to get a couple dozen 3D printers, you’re a lot more likely to buy the more expensive one from the company in New York that has a curriculum designed around their product and a large support staff than the hacker printer from Europe; even if there’s little question the latter is a better deal in terms of cost and performance. If it was for makers, it would still be open source. Makerbot hasn’t been for makers since Bre sold his soul to the patent trolls. Nothing to sell. It was hype and courting buyers from the start. When they got offered tons of money from Stratasys, things got ugly. But “from the start” is just wrong. Having wrestled with a Cupcake back in 2010 alongside contemporary DIY printers, I couldn’t shake the notion even then, that there was a substantial amount of “hardware as press release” going on. This was not a product, it was theatre. And it did eventually play to exactly the right audience. I totally believe your contention that most of the people at MakerBot had their hearts in the right place. But the product they actually released was inferior in every way except marketing. Marketing is a valid way to attract money, but it’s literally the definition of hype and courting buyers. These two theories are not as mutually exclusive as you make them out to be. I don’t doubt that Makerbot had and maybe even still has some good open-srouce types. That doesn’t mean the company itself is any good. Makerbot discontinued their open source line long before they were bought by Stratasys. My understanding was that the anti-Makerbot side of the argument was their users had freely contributed improvements to their open source designs so they shouldn’t have felt they had the right to close them. Makerbot’s counter-argument was that their next generation of printers after that were all-new designs that did not make use of the open source contributions and that if someone really wanted to continue developing on the old stuff nobody was stopping them. I haven’t sat down, compared the blueprints and read all the git or whatever versioning system they used comments so I don’t have an opinion on this. What I do know though is that they patented the “Automated Build System” but then stopped development of it effectively locking that idea away from the world for years until someone finally came up with a version different enough to get around the patent. I don’t know who had that idea originally, an employee or a user but I do know that a lot of users where trying to help make it work better before they locked it away. More recently, when printing a funnel and a bunch of plant pots I noticed that I get an annoying vertical ridge whenever I try to print a smooth, circular surface. I don’t use vase mode because I am not interested in something so flimsy as a single-layered shell. Anyway.. when I googled it what I discovered was that the only solution anyone has recommended was to turn the hotend inward when it switches directions so that the ridge is printed in the infill where it is invisible. So why don’t any slicers do this? Because Stratasys, the company that now owns Makerbot has a patent on that too! So.. we won’t be able to print smooth circles at home until some time in the late 2020s! Ever wonder why we don’t see more desktop 3d printers with heated build chambers? Yup… another Stratasys patent. The only news I really want to hear about Makerbot or Stratasys at this point involves Chapter 7. My best wishes to any people working for them that are not part of the problem, may they find new work even better than their current but that company has to go. They are doing damage to us all by holding progress back. If these features were available in cheaper printers there would be a lot less reason to buy the expensive options. That’s exactly what Stratasys wants. They are not the only company on the planet to use the patent system to ensure you have to buy something expensive to get the patented technology rather than something cheap. Kisslicer has the ability to hide the seam inside the piece. An idealistic community’s efforts appropriated for personal gain by a grandstanding hustler? Yeah, that’d never happen. who do you think owns the patent for this? A lot of people do build that themselves although I am not sure why one would need to bother looking up their patent docs to replicate such a simple idea. That still holds back a lot of people who aren’t quite “techy” enough to DIY things. Consequently that holds back the 3d printer market as a whole. That in turn means fewer people designing things and potentially sharing those designs on the internet… See, we all lose because of this. And for what? So someone can have a monopoly on an idea? An idea that someone else surely would have had sooner than later. An idea that increasingly they aren’t even marketing to us anyway? If Stratasys/Makerbot doesn’t target the average consumer but their patents still keep other companies from doing so then what good is the patent system anyway? This is not how it was supposed to work! Makerbot and anyone who works there are irredeemable. Their betrayal of FOSS and libre hardware is a complete and permanent stain upon society, and yet again proves how damaging patents, copyright, and trademark laws are. There is one thing that even the “truly altruistic” cannot stand for. That is taking those freely given contributions and patenting them so that not even the original contributor can legally use those ideas let along continue sharing them with others. This is exactly what Makerbot has done, even before they were bought by Stratasys. patents ect. are bad, but a job’s a job and I believe that the actual engineers are fairly blameless. Agreed. It’s a bit much to expect all of the employees to quit, jeopardizing their own ability to keep a roof overhead and food on the table just because the executives are behaving poorly. If people did that then almost everyone would be homeless! I’m surprised people still trust thingiverse given makerbots reputation. Guess the last sucker hasn’t been born yet. Too true. Anyone have a list of better alternative sites? Try YouMagine.com. A lot of anti-takerbot folks moved there. If you want to sell your designs you should do so on Etsy. If you want to share them freely then I’m not sure what Thingiverse is going to do that stops you. The only people who could be hurt by Thingiverse are the ones who like to release things using non-com licenses. I don’t have much sympathy for that. Either be open source or don’t. Non-com is just shareware pretending to be open source and polluting our search results. Shareware as a business model died 20 years ago. The sooner the latest generation realizes this and stops feeding the non-com zombie the better. A. The X-perimental head does make the 5th gen replicator ‘open’ to any material and has very good results. B. This unit is just a better looking slightly more advanced, baby Uprint SE. eg. since they are held by Stratasys still, they are looking to fill a gap between makerspace and commercial. If it’s anything like the Uprint was its bullet proof. Also the ire that they drew from maker communities makes more sense to have others continue to play there. How is this better than an ultimaker S5? Smaller build volume, less available materials, likely spendier filament? Only thing I see is sealed build chamber and filament storage? Heated chamber and filament storage are not insignificant changes though, and the price difference for those vs. the Ultimaker 5S seems fair. Basically they’re offering an entry level Fortus/cheaper Uprint. Bit question: will users have to buy filament from Stratasys? Personally I’ve never been a big believer in the air-tight filament storage unless maybe you’re printing something really hygroscopic like nylon (though maybe I’m just lucky), but the heat circulated enclosure is definitely something to consider. It looks like it is cat-proof but I doubt very many of these will make it into homes at that price though. If they did do their engineering homework and time will tell, it could be an excellent printer for people with deep pockets, sort of like a Macintosh in a market dominated by PCs, costs three times as much and does things a little better but that little better may be worth it for people who are made of money and there is more than a few of them, especially for those who would rather remain a man-child and buy expensive toys for themselves than start a real life and raise a family. I’m fine, just disapointed about the effective “death” of makerbot to the maker community. Its not like the spirit of hacking is dead. It lives on Josef Prusa and many others. Its the fact that I fell in love with 3d printing by witnessing the original makerbot machine with the automated build platform doing its thing. Its not easy to let go of a first love, so to speak. It also looks like a box filled with patents and low repairability. Possibly, but pretty much none of that matters to the target market of this device. That are companies that will buy the machine with a “support/maintenance contract” that will make sure a tech will be dispatched fix whatever boo-boo your machine may develop. Pretty standard fare for CNC machines and Stratasys printers. I didn’t see where it was clearly defined in the tech specs for the printer, but DRM’d filament seems almost a given for machine like this. At work we have a Replicator II. We also bought the Afinia when it first came out, and still use it as well as the Form Labs printer we bought the next year (both dues to Marke magazine’s annual review). Now we have a Objet260 as our “high end” printer, and it can do some pretty cool stuff. We have also been searching for a metal printer, but the market hasn’t really shaken out yet. We do have a few samples from suppliers that are cool. If MakerBot wasn’t the first company to the market would we even be talking about them today? I don’t think we would and yet I see MakerBot as a term on HaD far more even than I see RepRap. I talk to newcomers who even thing that MakerBot INVENTED the idea of a user-affordable desktop 3d printer. That’s just sad! As a non-commercial, homebrew project obviously RepRap did not invent the commercial home consumer 3d printer market. It was however RepRap that showed us it could be done. It was RepRap that got a whole lot of “makers” excited about the idea. It was RepRap that originally created the hype that primed the market for a company such as Makerbot to come into existence. I have no doubt whatsoever that if Bre Petis had never been born, if Makerbot never existed at all someone else would have stepped up and filled that roll only a very short time after when Makerbot actually did it. Maybe that hypothetical different company wouldn’t have made some of the anti-consumer moves that Makerbot did. The only reason to talk about MakerBot today is nostalgia but given their actions even before Stratasys bought them I don’t think they deserve it. At this price, they will need to make it suitable for the work-place. Which would mean they got a long way to go. Look at UL2011, 1275, and 3400 (not the mention the UL746 series and ‘functional’ safety requirements) and you will see why they have some major design hurdles before selling into the North American business market. SLA printers are coming to fruition, are easier to maintain, and are becoming more open source ready. What place do the FDM printers really have besides being technological placeholders? So…gonna go out on a limb here and assume you don’t know much about 3D printing if you think they are comparable tech or even used for the same things. The greatest development in 3D printing would be unifying all the diverse materials into one printer with equal quality across. In other words, a Santa Claus machine! Hence all the transporter jokes. We’ll get 3D printing to the “good enough for the majority” stage and leave the remainder to those with deep pockets.